Flowing Repair Concrete CP The Pozament range of repair materials has a successful track record for the repair of buildings, highway structures, tunnels and other infrastructure projects. 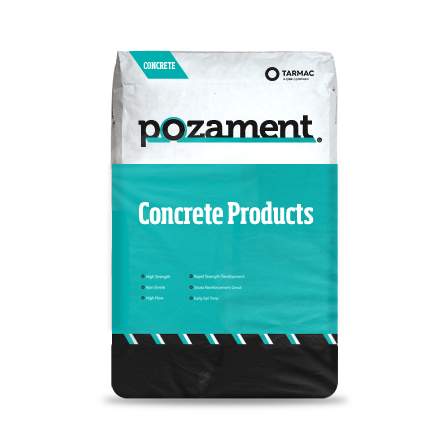 General Purpose Concrete Cemrok GP Concrete is a pre blended general purpose concrete that is quick and easy to use on a wide range of building projects. Cembed Designed to be used to bed pre-cast concrete wall segment panels in building construction. Cempack D4 Specifically designed to pack and fill the holes made for he bolting sockets and supporting equipment when assembling pre-cast concrete sections, panels and structures. CemThix Installation Grout CemThix is used to grout vertical and horizontal joints between linked precast wall segments and to infill gaps between and beneath precast wall segments providing structural support. Steel Primer The Cemrok range of repair materials has a successful track record for the repair of buildings, highway structures, tunnels and other infrastructure projects. Acrylic Primer Acrylic Primer has been designed for use with Cemrok Concrete Repair Materials and Flooring Products. Rapid Set Flowing Repair Concrete Suitable for the structural repair of concrete carriageways, runways, bridge decks and bedding in precast concretes and metal works. 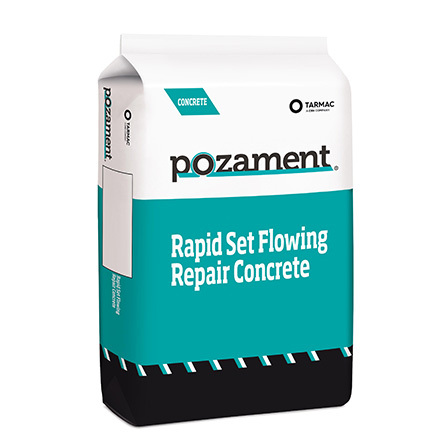 Flowing Repair Concrete The Pozament range of repair materials has a successful track record for the repair of buildings, highway structures, tunnels and other infrastructure projects. Cemrok Dry Spray Concrete A range of high performance pre-blended repair materials for spray application. Cemrok Wet Spray Concrete A range of high performance pre-blended repair materials for wet spray application. Postfix Specially designed and formulated to produce a high quality concrete for securing any type of post.